2013 White House correspondence dinner was held on Saturday, April 28 at the White House or there were many stars dressed in their finest evening dresses. The US president and his wife invited, like every year, the stars and personalities at a dinner at the White House. This is one of the largest dinners of the year, the dinner don’t miss so that the stars and politicians women showing their prettiest dresses. Chouchoudress makes you discover some of the most beautiful dresses, evening during dinner, including the wife of the American president. Since it is in the ranks of the organizers of the evening, Michel Obama did the maximum to be among the most elegant of the evening, and it worked. 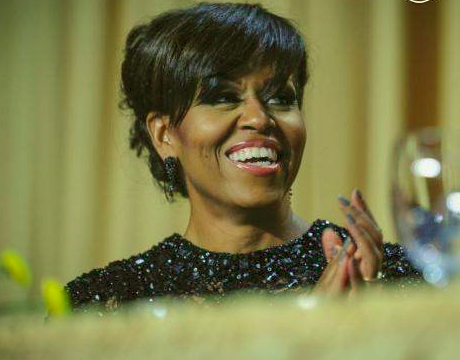 Like every year, the guest list was long and the first lady ought to be perfect for this evening. And it succeeded, because the evening gown she has chosen is a surprising and beautiful dress. Of course she was reflecting his image of First Lady of United States of America. She chose a slightly different style of the year last with less rhinestone. But very bright anyway, because the few decorations on her dress makes it shine so much. Her evening gown was one of the most beautiful in the evening, and it is normal because it is dune high-end dress. This was the kind of dress that a first lady deserves. 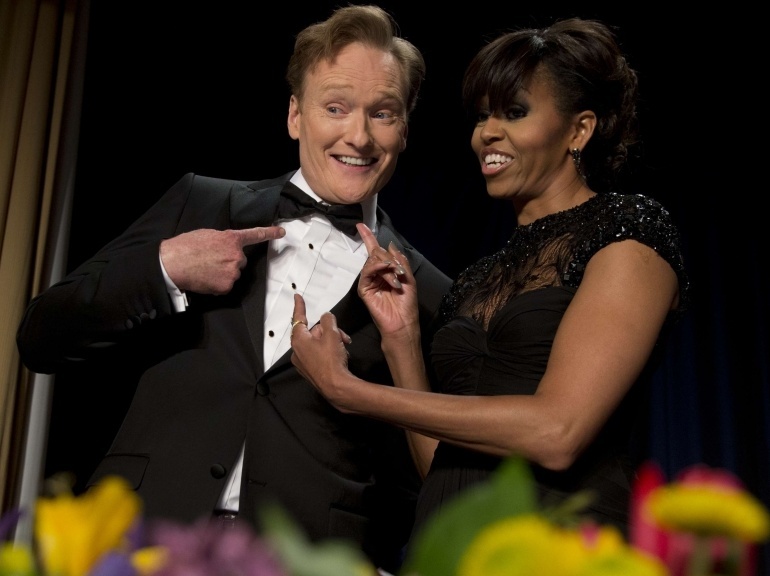 Initially, for journalists and the characters from the small screen, the White House Correspondents Dinner has become an unmissable evening for many stars. Indeed, each year, the presidential couple adds names on an invitation list, a list that does not stop only on journalists. The example of star Eva Longoria, she brought a pretty white short evening for evening dress. With a somewhat special neckline, short sleeve evening dress goes quite in the mood with these reasons to bust level. The skirt is slightly domed to give a very good effect. Her dress is not the most beautiful of the evening but she still has a good taste which does not leave indifferent those who have noticed. One of evening dresses that have marked this evening at the White House is this pretty Michelle Dockery purple evening dress. The star made a good choice by wearing this outfit because it goes it very well and its appearance is simply Royal. The star has chosen to put a pretty purple strapless evening gown which gives a beautiful complexion. This dress has a belt Golden at the level of the waist a little contrast to the whole. The lines of the dress are well plotted out the lines and curves of her body. It’s a very good choice for the White House Correspondents Dinner. The skirt of the dress Michelle is as comfortable and stylish side it is always faithful with his body still very young.